Maintaining consistent indoor humidity within the recommended range provides a comfortable home environment, prevents illness, and saves money. When the indoor humidity level goes above or below the recommended range, issues can arise in both your health and home’s operation. The recommended indoor humidity range is anywhere between 35% and 50%. Humidity levels above 50% create a thriving environment for dust mites, allergens, and molds, which can lead to a variety of respiratory ailments, including allergies. High humidity levels can also cause condensation buildup on windows and glass, water stains on walls and ceilings, and foul odors from growing mold. 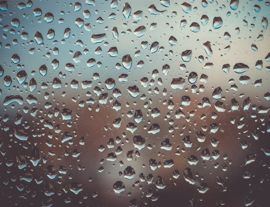 If any of these issues begin to become a problem in your home, it may be time to install a dehumidifier to help absorb excess moisture in the air, thus reducing these negative consequences. Alternatively, humidity levels below the recommended 35% can lead to dry nose, throat, and skin, and produce unwanted static electricity capable of ruining home electronics. Low humidity levels also make home temperatures feel cooler, which means that higher temperatures will be needed to reach your regular comfort level, especially during winter months, thus resulting in higher energy costs. Additionally, the moisture content of the air is directly related to the condition of hard wood floors, doors, furniture, and other wood inside of the home. If humidity levels are not kept consistent, wood may shrink, producing gaps and cracks, or it may expand, causing it to buckle and distort. If you believe you are having a problem with the humidity level inside your home, or any other issues related to your HVAC system, General Air is fully equipped to provide accurate assessments and recommendations, with full-service technicians to meet your repair or replacement needs. It is important to get your unit checked as soon as you notice a problem, so do not hesitate to contact General Air to get your heating and air systems operating smoothly again in no time. previous post: Why Is My Air Conditioner Whistling? next post: What Does the SEER Rating Mean?